1757年04月 - 「自然地理学講義草案および予告」Entwurf und Ankündigung eines collegii der physischen Geographie nebst dem Anhange einer kurzen Betrachtung über die Frage: ob die Westwinde in unsern Gegenden darum feucht seinen, weil sie über ein großes Meer streichen. Robert Bernasconi (2001). “Who Invented the Concept of Race? Kant’s Role in the Enlightenment Construction of Race”. In Robert Bernasconi. Race. Blackwell Publishing, Oxford. pp. 11-36. Robert Bernasconi (2006). “Kant and Blumenbach’s Polyps: A Neglected Chapter in the History of Race”. In Sara Figal and Mark J. Larrimore. The German Invention of Race. State University of New York Press. pp. 73-90. Emmanuel Chukwudi Eze (1997). “The Color of Reason: The Idea of ‘Race’ in Kant’s Anthropology”. In E. C. Eze. Post-Colonial Africa. Blackwell Publishing. pp. 103-40. Aaron Garrett (2000). “Hume’s Revised Racism Revised”. Hume Studies (The Hume Society) 26: 171-177. Aaron Garrett (2004). “Hume's "Original Difference": Race, National Character and the Human Sciences”. Eighteenth-Century Thought (University of Pennsylvania Press) 2. Todd Hedrick (2008). “Race, Difference, and Anthropology in Kant's Cosmopolitanism”. Journal of the History of Philosophy (The Johns Hopkins University Press) 46 (2): 245-268. Pauline Kleningeld (2007). “Kant's Second Thoughts on Race”. Philosophical Quarterly (Blackwell Publishing) 57 (229): 573-592. Jon M. Mikkelsen, ed (2013-8). “Translator’s Introduction : Recent Work on Kant’s Race Theory , The Texts , The Translations”. Kant and the Concept of Race: Late Eighteenth-Century Writings. State University of New York Press. p. 1- 20. ISBN 978-1438443614. Charles W. Mills (2005). 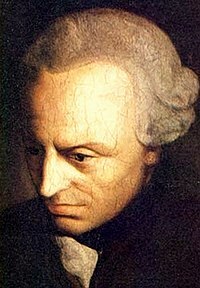 “Kant's Untermenschen”. In Andrew Valls. Race and Racism in Modern Philosophy. Cornell University Press. p. 169-193. Charles W. Mills (2016-7). Herman Cappelen,Tamar Szabo Gendler,John Hawthorn. ed. The Oxford Handbook of Philosophical Methodology. p. 709-732. ISBN 978-0199668779. Tsenay Serequeberhan (1996). “Eurocentrism in Philosophy: The Case of Immanuel Kant”. The Philosophical Forum 27 (4). Andrew Vallis (2005-9). “A lousy Empirical Scientist”. In Andrew Vallis. Race and Racism in Modern Philosophy. Cornell University Press. p. 127- 149. ISBN 978-0801472749. Julie K. Ward and Tommy Lott, ed (2002). Philosophers on Race : Critical Essays. Oxford: Blackwell Publishing. ^ 「啓蒙とはなにか」という問いに対しては、メンデルスゾーンを含め、様々な著述家が解答を与えようとしていた。そうした議論のきっかけの一つとなったのは、フリードリヒ大王がベルリン王立アカデミーに出させたという懸賞課題であった。Hans Adler (Hg. ), Nützt es dem Volke, betrogen zu werden? Est-il utile au Peuple d'être trompé? 2 Bände. Stuttgart: Frommann-Holzboog, 2007. ^ a b c d #ポリアコフ III,p.248-251. ^ a b Jon M. Mikkelsen 2013, p. 3. ^ a b c d Charles W. Mills 2017, p. 716. ^ a b Julie K. Ward 2016. ^ a b c d e Pauline Kleningeld 2007. ^ 高田紘二 2002, pp. 91-92. ^ Aaron Garrett 2004, pp. 130-132. ^ Aaron Garrett 2000, pp. 171-177. ^ Andrew Vallis 2005, pp. 132-139. ^ a b c #カント 2000,p.381-382. ^ Jon M. Mikkelsen 2013. ^ Charles W. Mills 2017. ^ Todd Hedrick 2008, p. 263. ^ a b Jon M. Mikkelsen 2013, pp. 4-5. ^ Emmanuel Chukwudi Eze 1997. ^ Jon M. Mikkelsen 2013, p. 6. ^ 加藤将之 1957, p. 27. ^ 広瀬悠三 2010, p. 71.